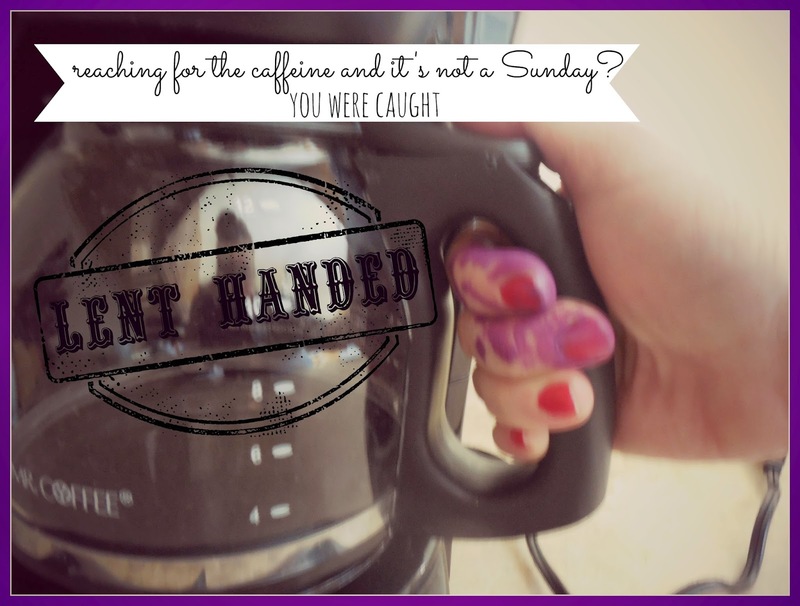 reaching for the caffeine and it's not Sunday? 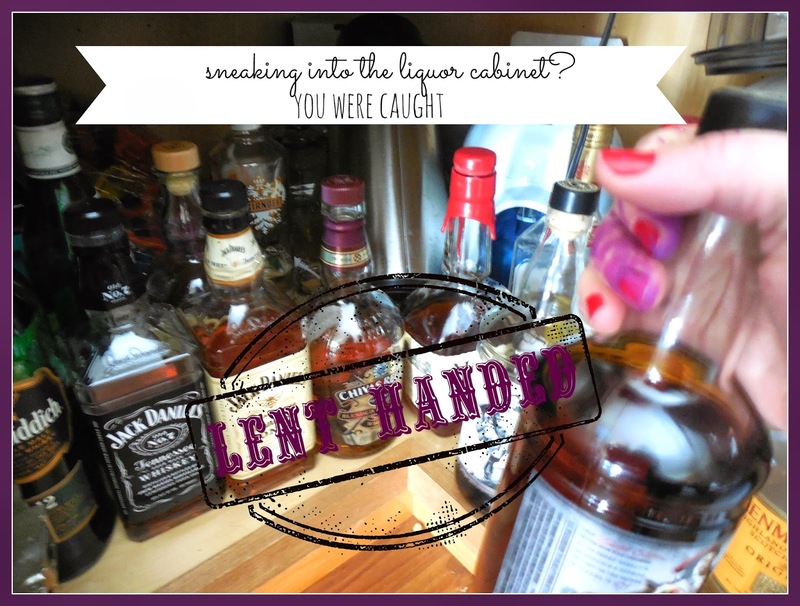 sneaking into the liquor cabinet? chocolate and it's not a feast day? 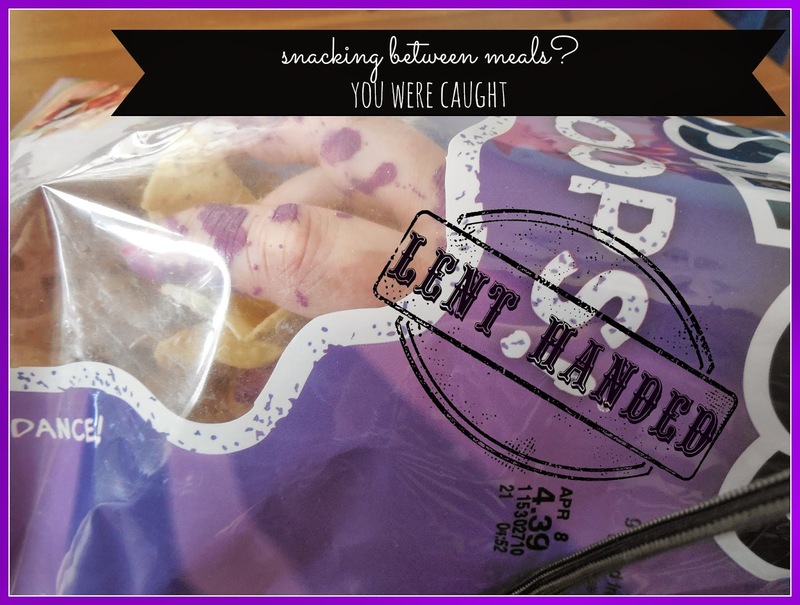 Because what else do you do when you accidentally get purple spray paint on your hands besides take a bunch of pictures with the sole purpose of turning them into memes? HAHAHAHAHA!!!! This is AWESOME! 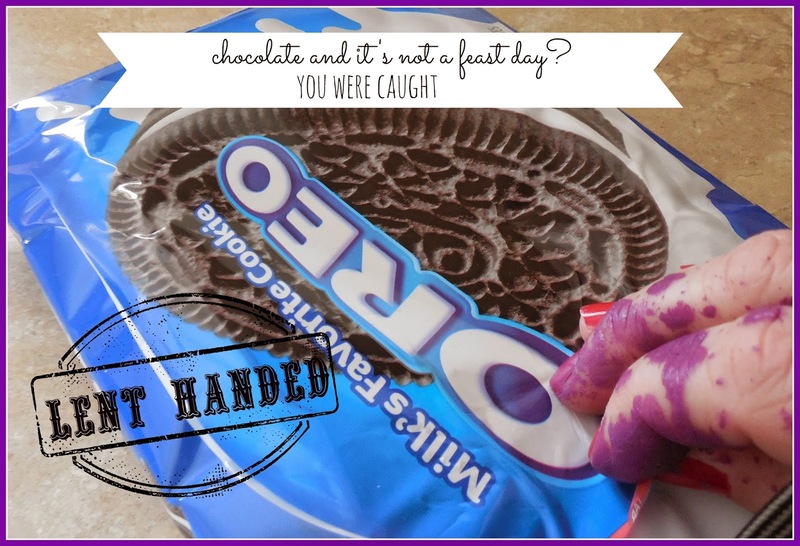 I love the cookie one, your hand is so purple! Shared it on my fb page. You can't not share gold!! haha perfect! What a great reminder... maybe I should paint myself purple too. that's a rather impressive liquor cabinet. You are so fun. I can just picture you taking these pictures and laughing to yourself. Great post Bonnie. I found you through the Catholic Bloggers page over on Facebook. I look forward to seeing more of your posts. The liquor cabinet, is that yours? Envious. Way to think on your toes!